This seriously is going to be one of those jackets (like my army jacket and jean jacket) that I wear non-stop! 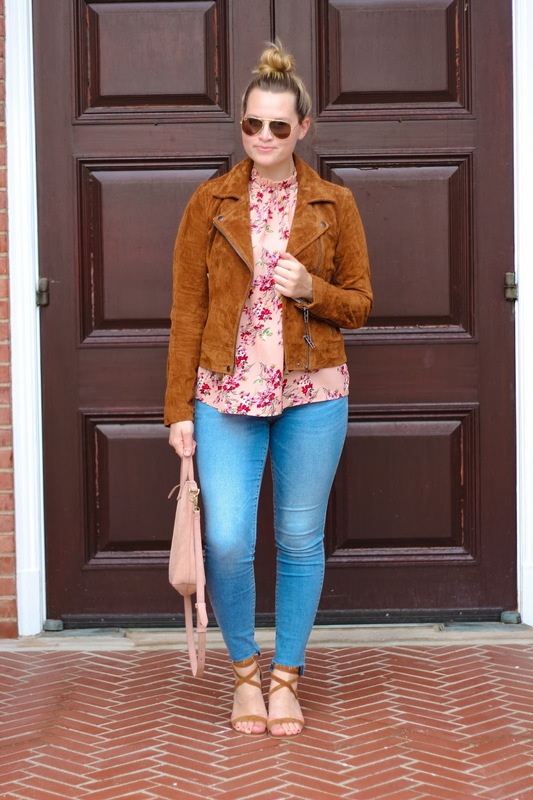 We have had some cooler (like 60 degrees) days where I live so I thought it was the perfect time to share how to transition in Fall featuring this blogger (literally every blogger) favorite jacket. I ordered mine in a size medium to give me extra room in the arms for a light sweater come, Winter. This is last years version which is also a great option! 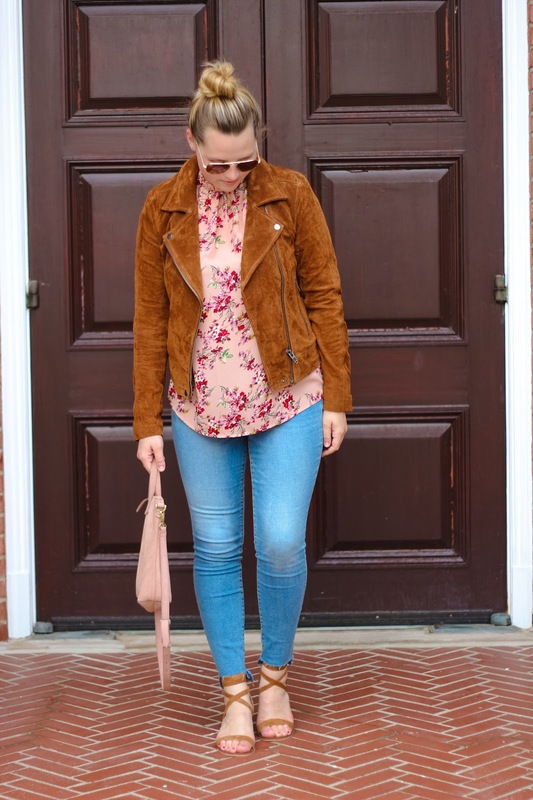 I love that my favorite suede sandals match perfectly with the jacket so I can pair the two together more often. Lastly, the jeans are a step-hem which I have been dying to try out. I picked mine up for $19 which was such a steal! I really like them but I think I need to trim them a little. Happy Wednesday everyone!! That suede jacket is gorgeous! I love the color! Think I may break down and have to purchase this jacket; the color is stunning for fall! 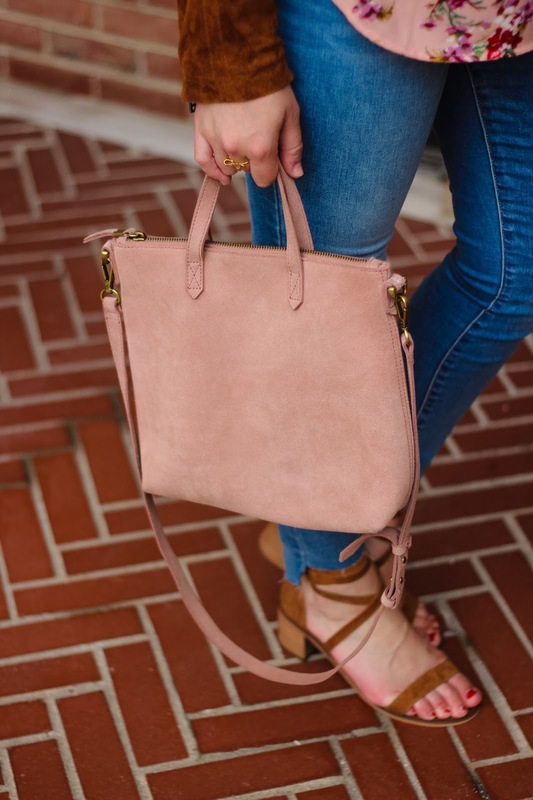 I love the color of your Madewell bag too! This top and the jacket go so well together. I also love your sandals! That suede jacket is gorgeous! It will definitely be my Fall go-to too! 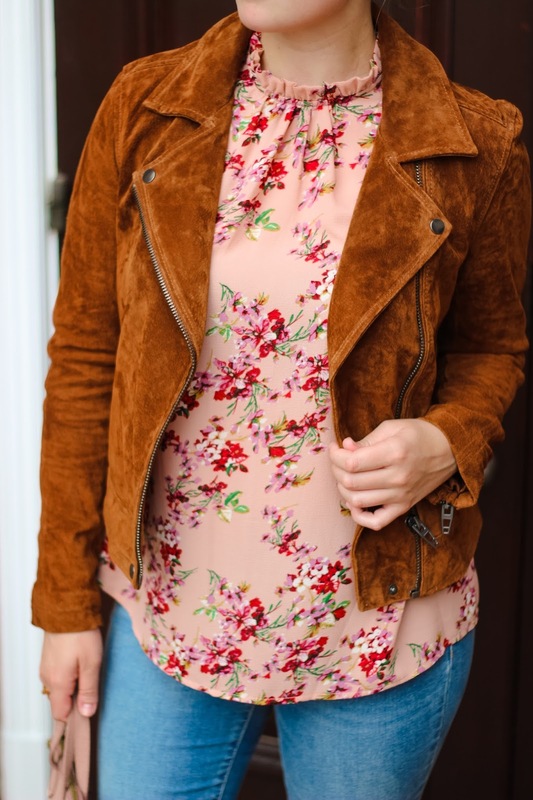 Love these colors for fall and that jacket is perfect! 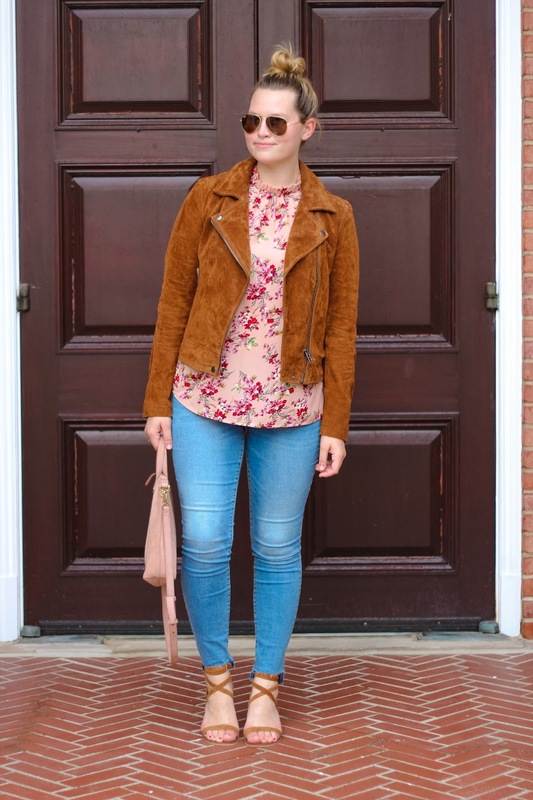 THis jacket is perfect for fall! Obsessed with this floral top! So many great colors you can pair with it for Fall! So now I officially need this jacket and this bag! Both are SO cute and perfect for fall!